As you might have heard that Microsoft planned to release Windows 8.1 update 2 aka August update with some minor improvements rather than those which were actually expected to be packed with the update such as the start menu,ability to run Store apps inside the desktop. 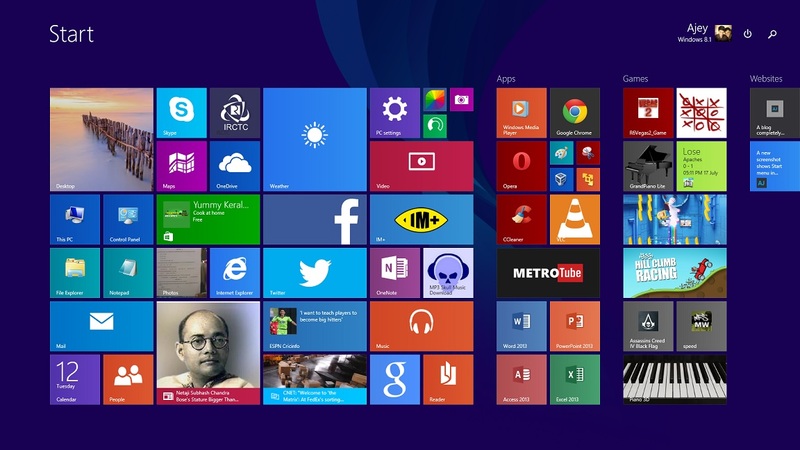 But the development of Windows 9 has made several changes to the Redmond Giant's update to Windows 8.1. As you can see there is no much changes to the latest incarnation of Windows and most probably this will be the last set of features introduced in Windows 8.1 which means the next Windows release will be Windows 9 which is scheduled to launch as a preview later this year or in the first quarter of 2015. Windows 8.1 will continue to get security patches and other improvements via Windows update. I still wonder if Microsoft will release the start menu for Windows 8.1 as a update after the launch of Windows 9 next year. You can also wait till the updates gets pushed to your PC/tablet via Windows update but if you don't like waiting like me, then you are free to download and install the updates from the links below. Note : You have to install the small update and restart the PC before installing the big one which actually contains the August updates. Happy updating !